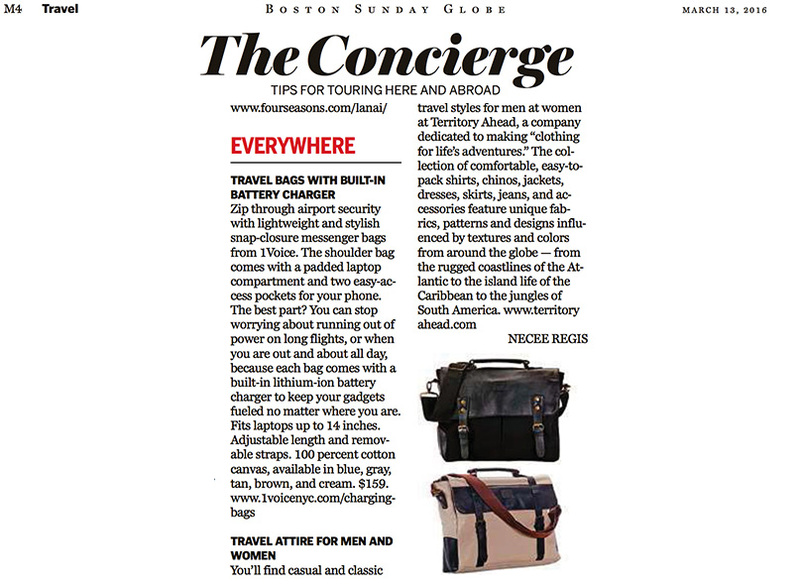 Congratulations to our Client 1Voice for their feature in The Boston Globe! Zip through airport security with lightweight and stylish snap-closure messenger bags from 1Voice. The shoulder bag comes with a padded laptop compartment and two easy-access pockets for your phone. The best part? You can stop worrying about running out of power on long flights, or when you are out and about all day, because each bag comes with a built-in lithium-ion battery charger to keep your gadgets fueled no matter where you are. Fits laptops up to 14 inches. Adjustable length and removable straps. 100 percent cotton canvas, available in blue, gray, tan, brown, and cream.